NTR Sister Enters PC, Trolled Badly! Telugu Desam Party has allotted only single ticket to a female candidate in upcoming elections in Telangana and that too for a Nandamuri family member. 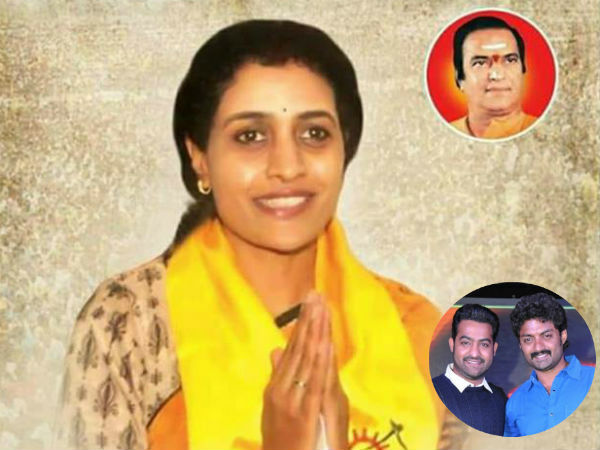 Harikrishna’s daughter and Kalyan Ram, NTR’s sister Nandamuri Suhasini (Chundru Suhasini) is contesting from Kukatpally assembly constituency. Since she is very new to politics and doesn’t exactly know the borders of her constituency, Suhasini entered Patancheru constituency during her campaigning. When informed later, she went back to Kukatpally region. Suhasini is now trolled badly in social media. Balakrishna and few others from TDP will campaign for Suhasini. However, it is unclear whether Kalyan Ram and NTR will take part in canvassing. They recently released a press note to lend their support.